Coronado + The Abbey. 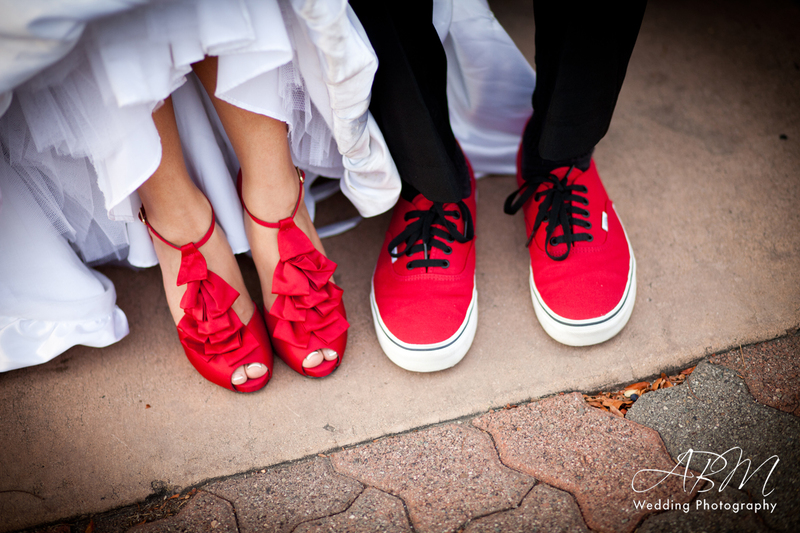 Red + Black Wedding Fun! 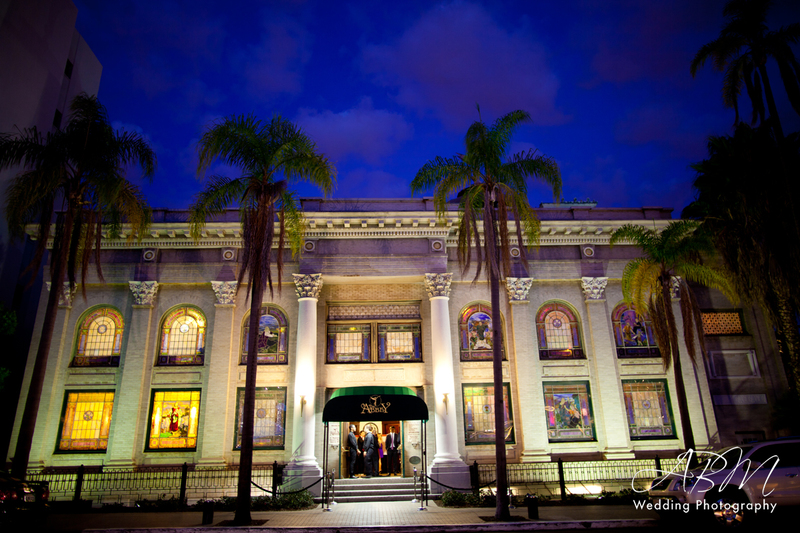 The wedding of Michelle and Nick was gorgeous and they were one of our favorite couples for 2011! 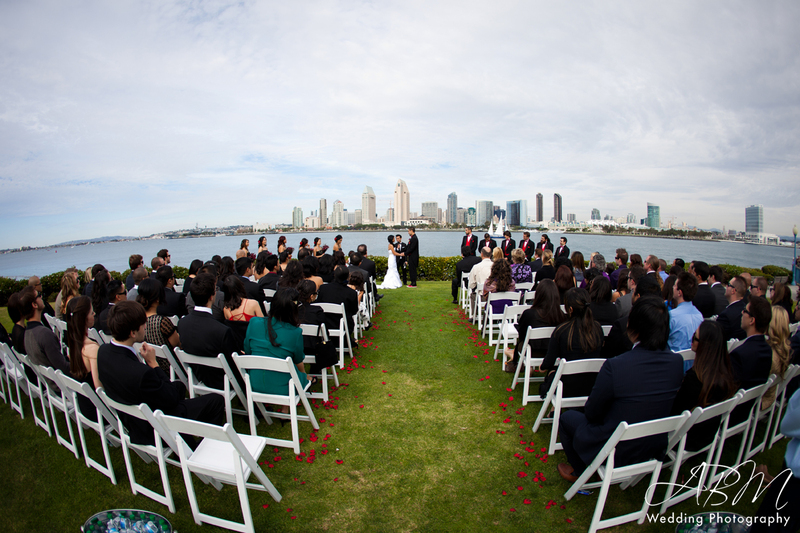 The ceremony was held at Centennial Park in Coronado where guests were able to view the spectacular view of downtown San Diego. 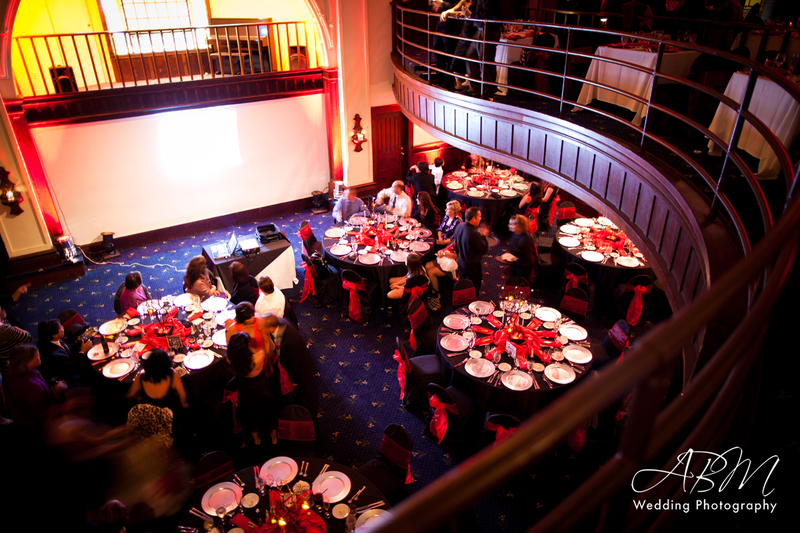 The reception was held at The Abbey in San Diego with a color palette of red and black with some great uplighting that was provided by Excellent Designs as well as the linens. The wedding was officated by their close friend Justin who might we add, was so helpful during this special day!. 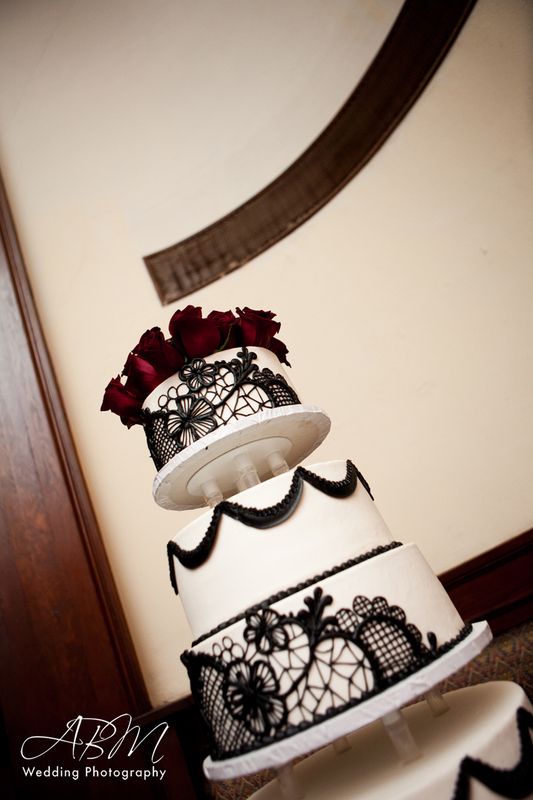 The Grove Bakery created the delicious cake. Music for the reception was provided by DJ Impakt & DJ Mahjestik who are also cousins of the bride and also work for Z90… yes the reception was definitely a blast! The bride looked extra gorgeous thanks to Michelle Mucho who styled the brides hair and Valerie Vonprisk who provided the makeup artistry. Transportation was Pacific Limousine. Gobo Lighting was by Music Phreek. The Photobooth was by one of our favorites – Lovely Photobooth! 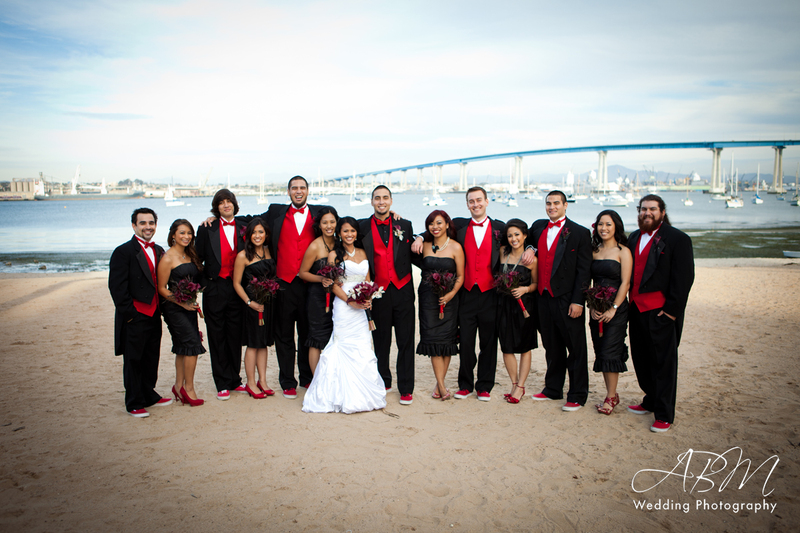 These incredible photos were taken by Brian of ABM Wedding Photography. Thank you Nick and Michelle for allowing us to be part of your wedding day!